Many gardeners ponder whether to plant their blueberry bushes under pine trees because the soil will have a higher acidic value. Other potential blueberry growers worry because blueberry bushes also need sunlight in order to thrive. Growing blueberries in shaded areas can successfully be done, under the correct conditions. Blueberry bushes need sunlight to perform photosynthesis, which synthesizes glucose from water and carbon dioxide, creating food for a plant. Limited sunlight, or shade, will decrease the blueberry plant's natural ability to manufacture sufficient quantities of glucose and other vital chemicals. Blueberry bushes can grow in partial shade environments, but may not thrive. Depending on the amount and duration of daily shade, your blueberry bush may develop a spindly appearance with sparse leaves. The amount of berries, if any, will be decreased and small in size. You may only be able to harvest one cup of berries from a bush in the shade, instead of one quart of plump blueberries from a bush receiving adequate sun. Some varieties of blueberries will grow better in a shaded area than others. Lowbush blueberry varieties are more suited to shade areas than highbush varieties. Both highbush and lowbush blueberry bushes can be found growing wild in many regions, but it is the lowbush that often is found under trees. Commercial lowbush blueberry bushes are related to the wild varieties, making them more tolerant of shade conditions. There are some benefits of growing your blueberry bushes in a shade environment, particularly if you live in the southern regions of the United States, where summertime heat and sun intensifies. Planting your blueberry bushes where they will received shade during the hottest part of the day will benefit the bush. Blueberry foliage can be sensitive to sunburn and become damaged when exposed to prolong periods of high, intense heat. 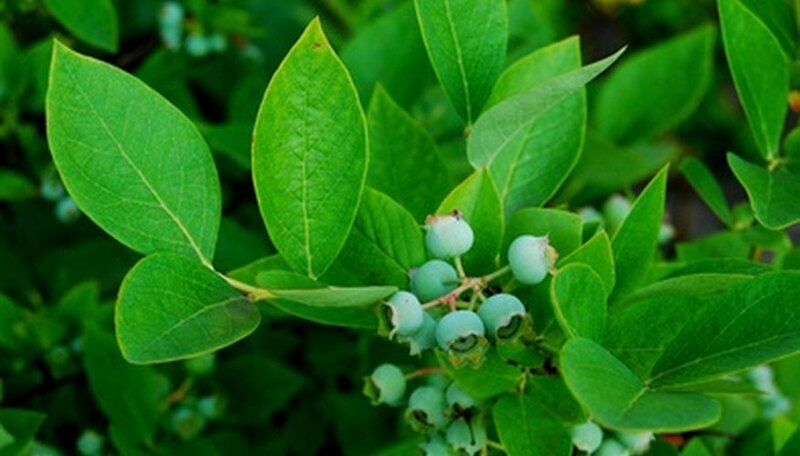 It is a misconception that blueberry bushes will not grow and produce if planted in shade. Almost all varieties, including highbush, can tolerate some shade. It is the total amount and density of the shade that will affect the growth and production of berries. With new blueberry bush varieties being developed every year to accommodate different and difficult growing conditions, your local garden center will be able to help you select the correct bush for your growing situation.